Whitesboro Bridge Kiamichi River Crossing, Le Flore Co. 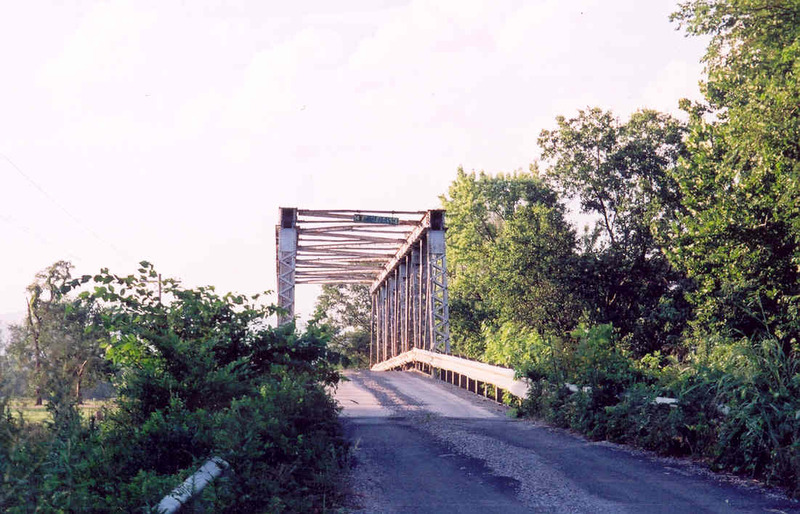 The photos on this page are all of a very unusual bridge located in scenic Le Flore County. It is a 120 foot long (approximately) pin-connected Warren thru truss. 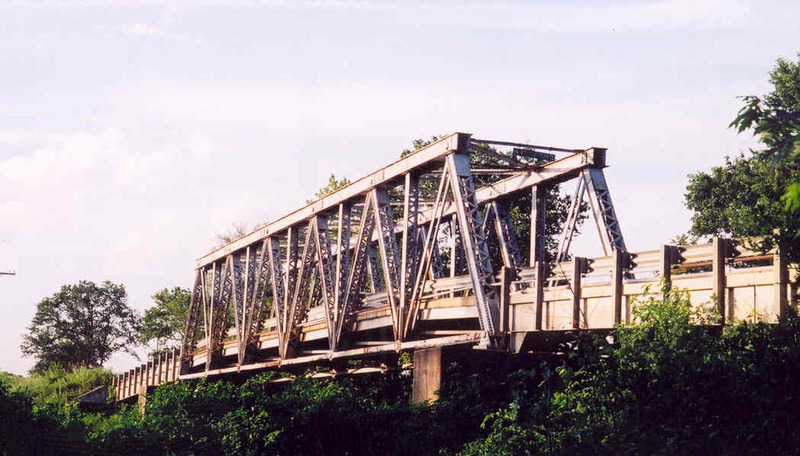 According to NBI (National Bridge Inventory) data, this bridge was built in 1940, but looking at several of the bridge's construction details, it is likely that it was moved here from another location. Above, a side view of this very rare type of bridge for Oklahoma. Below, the top end of the end post is marked with a 3-leaf clover design with "M" "W" on two of the leafs. 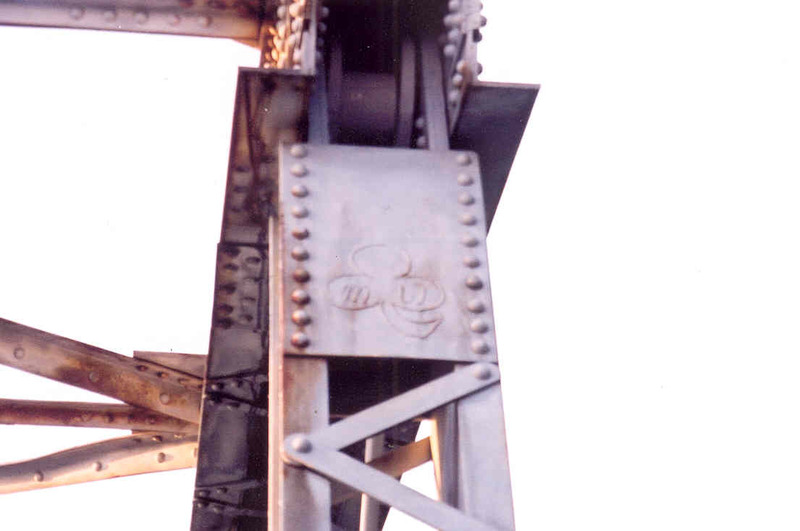 Was this a steel maker's mark, or a mark of the original builder of the bridge (such as a railroad?) Send me e-mail if you know what the mark means, or where this bridge came from. Above, the hip node. Notice that the end of the upper chord has been cut of. 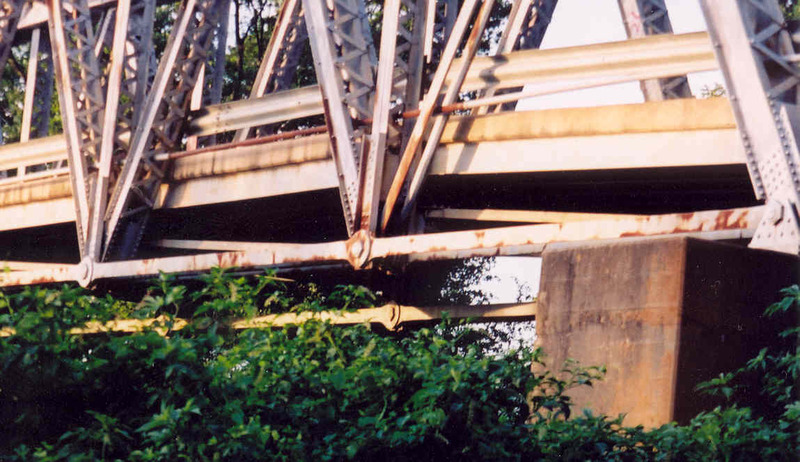 This bridge may have been a deck truss in its original location. Below, a detail of the lower chord and end panels. 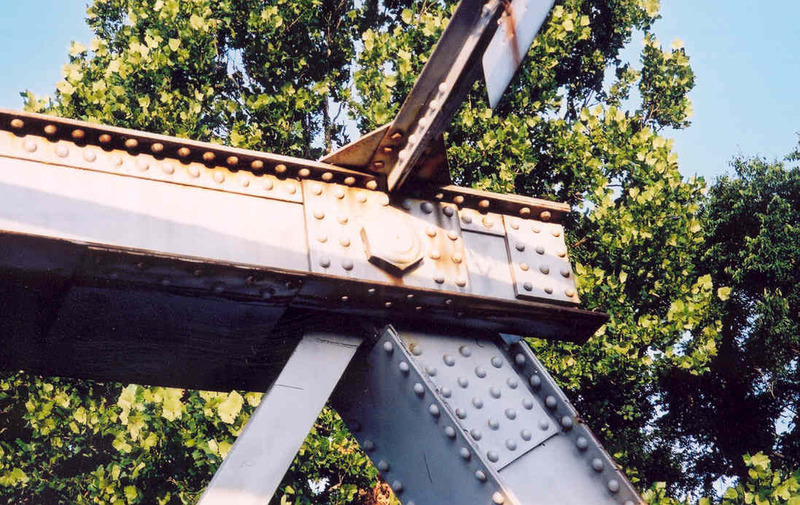 With the exception of the upper chord, which is built up from plates and angles, the rest of the bridge's members are eye-bars, or laced channels. Notice the slope in the deck in the last panel. Below, overview of the bridge and its approaches. 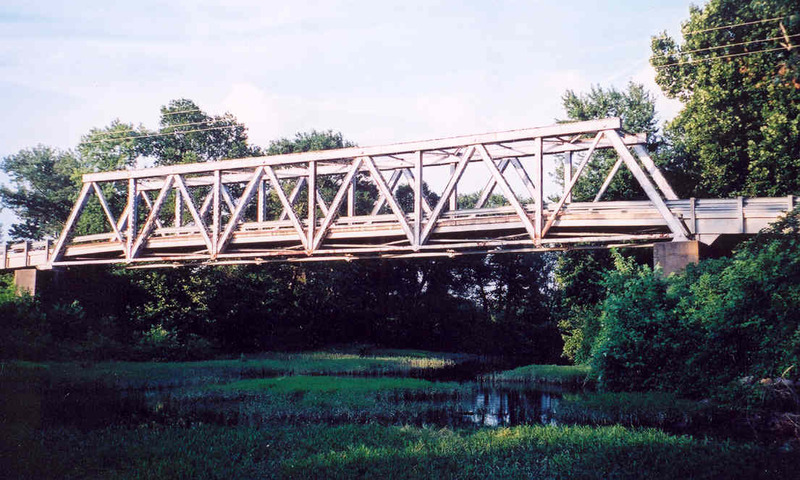 The steel girder approach spans share the same angle that the deck of the truss span does in the end panels.